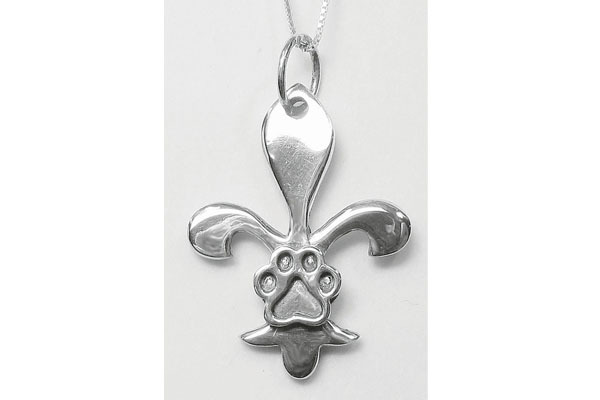 Sterling Fleur-de-lis Pendant w/Puppy Paw® that is even able to be engraved (limited number letters). This Puppy Paw® can even be made into a Mother's Paw® that can hold up to 7 birthstone crystals! About 1"w x 1 1/8"h, is engraveable & comes w/an 18" sterling silver chain.